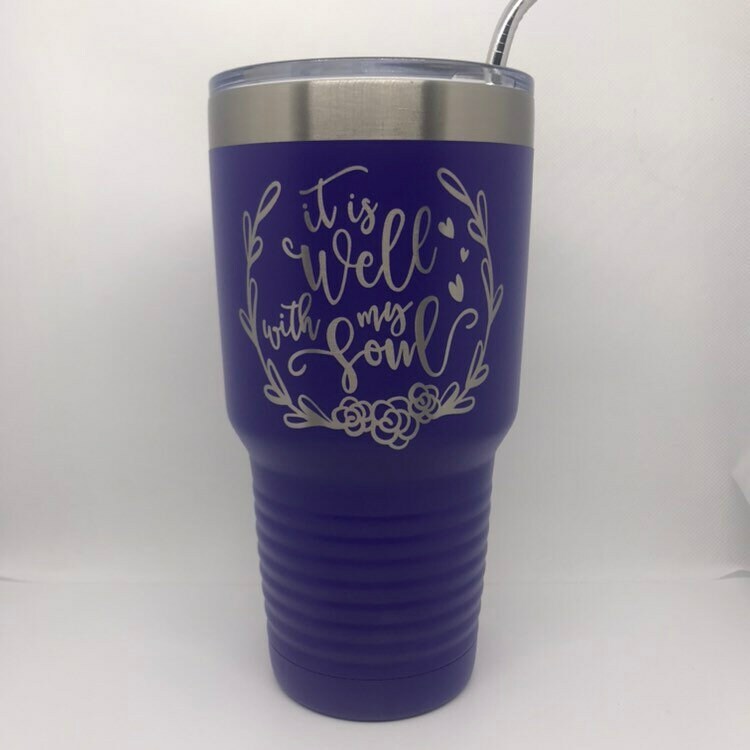 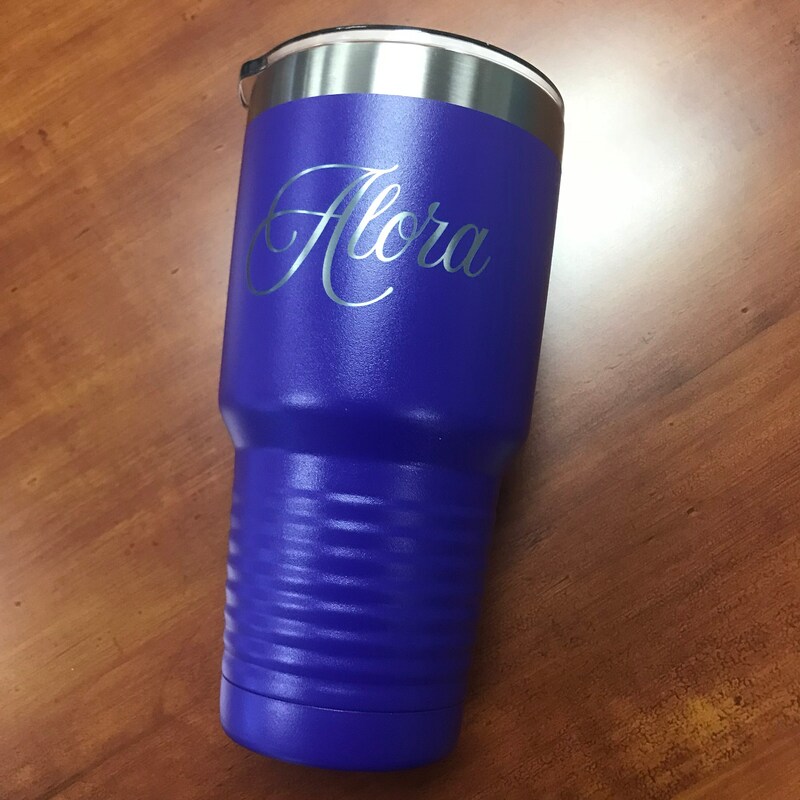 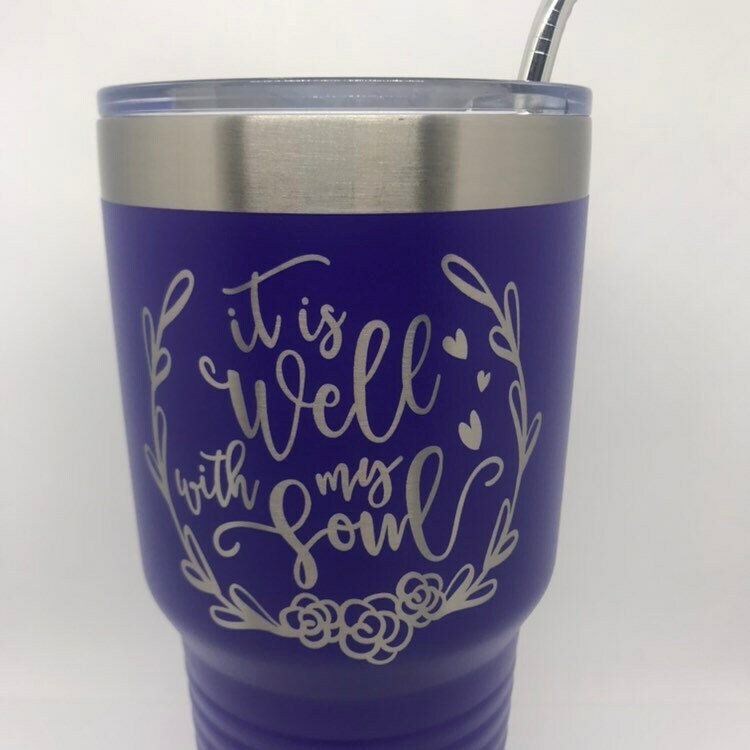 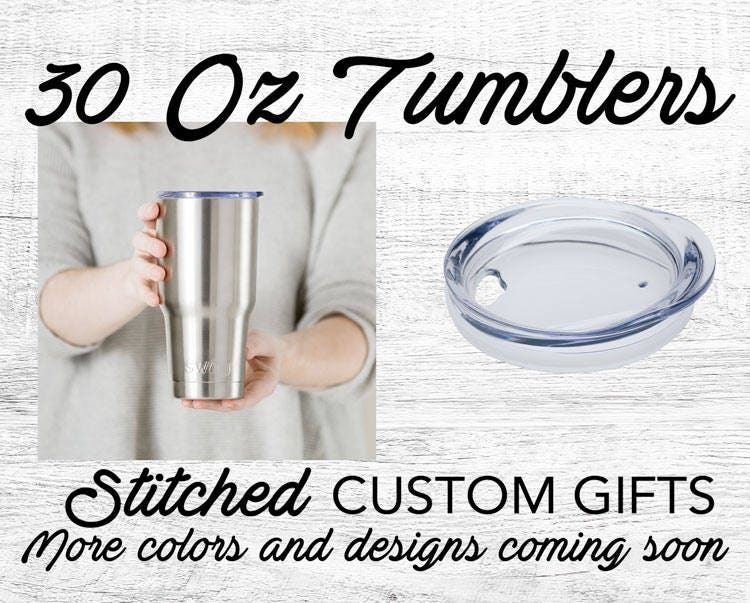 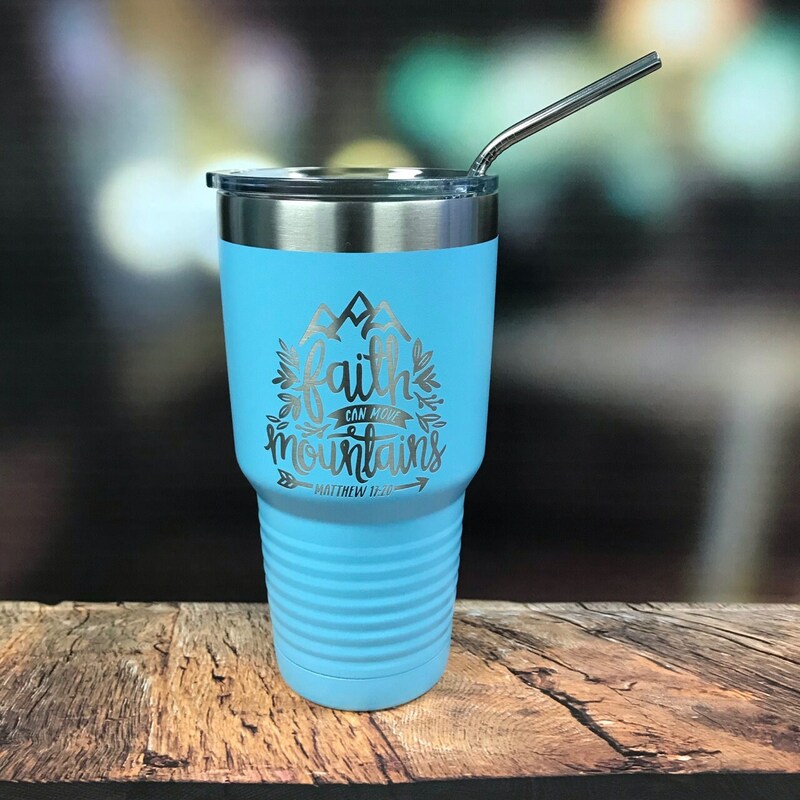 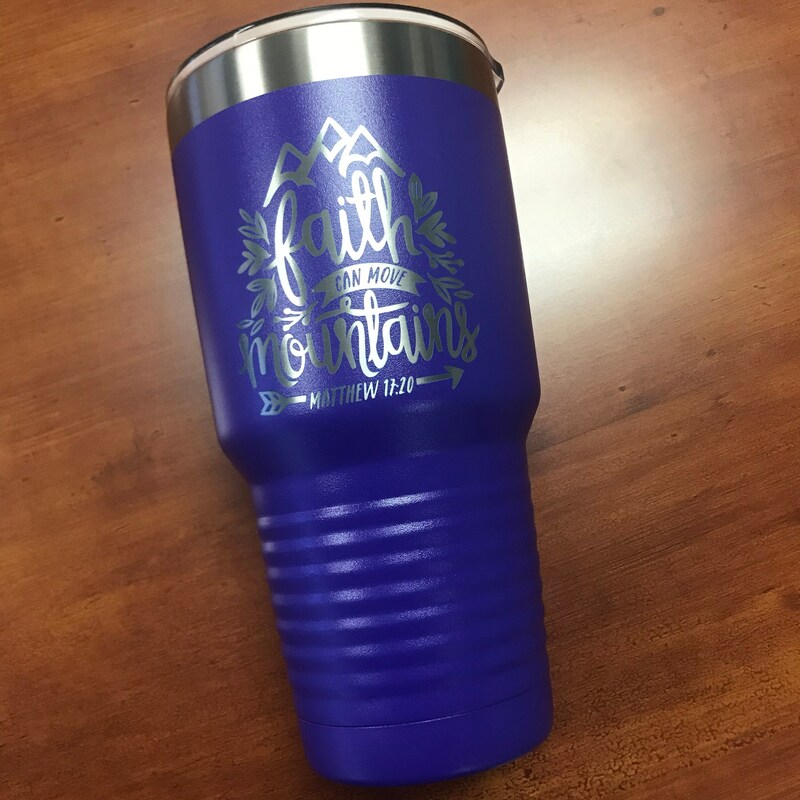 Enjoy your beverages with these super popular 30oz Insulated Cups! 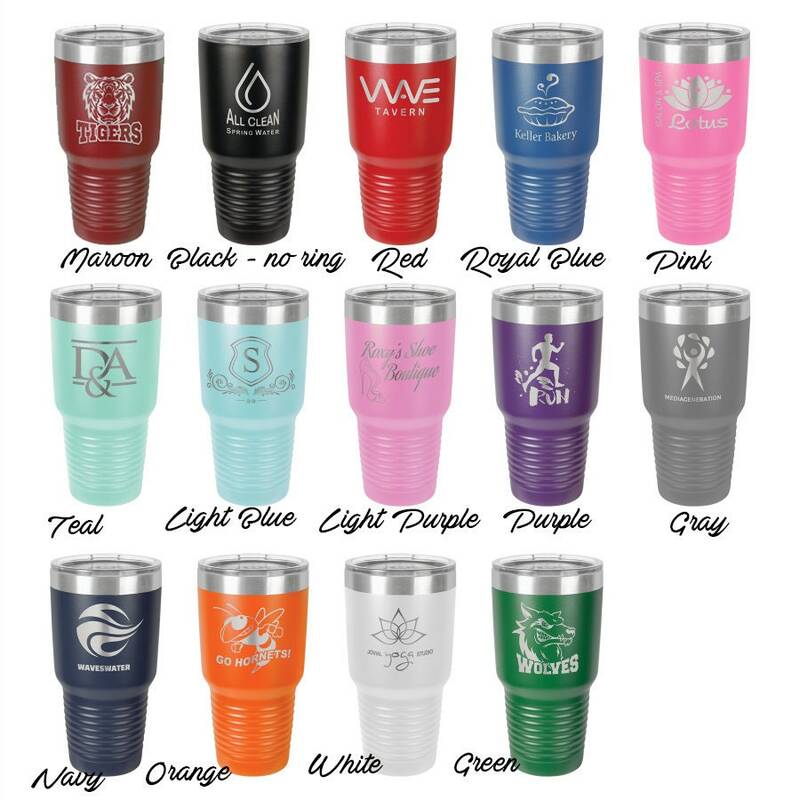 These will keep your drink the perfect kind of cold while you sit out at the pool on a hot summer day or your coffee hot if you need just one little steamy cup of joe to start your day off right. 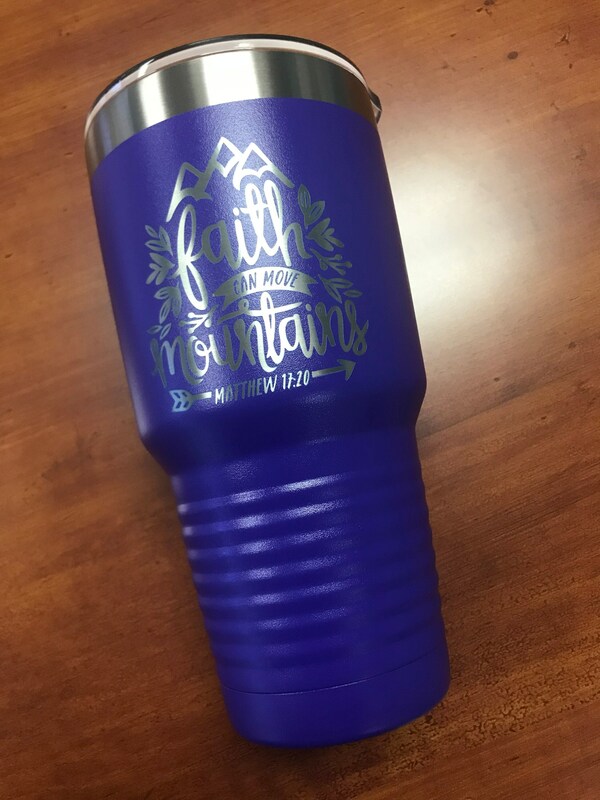 These beauties can hold up to 30 oz! 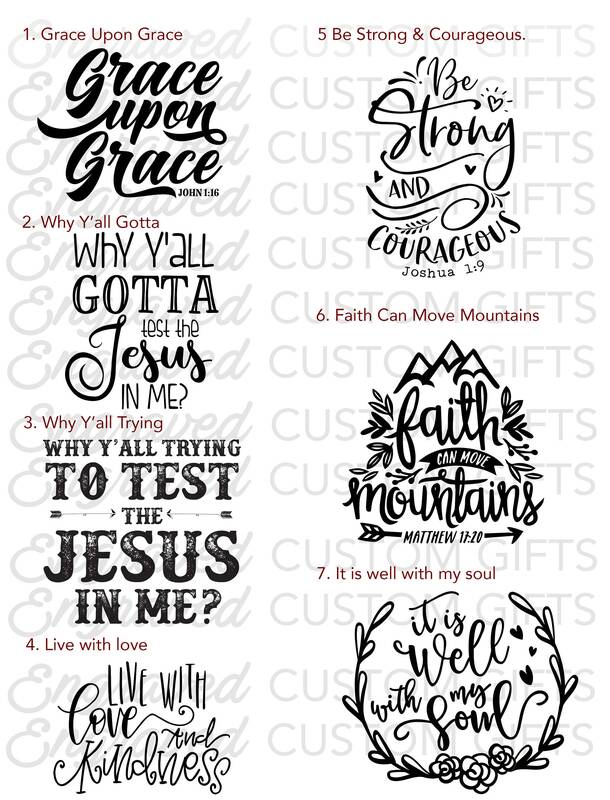 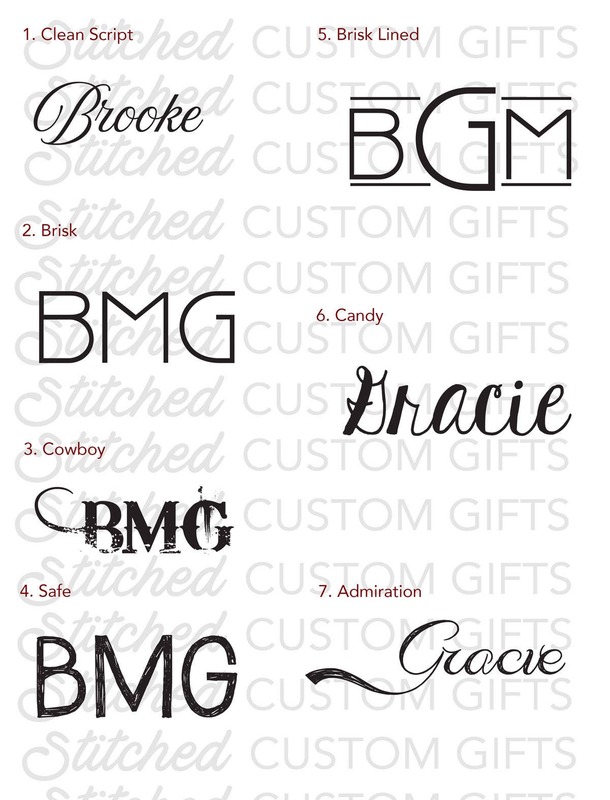 If you would like a different scripture please purchase this listing and put the one you want in the notes to seller.